Licensing is one of the most dynamic forms of intellectual property (IP) trading which enables more flexible and diversified use of IP rights, thereby unleashing fully their economic value. The creativity of international licensing agents and licensees can often turn a popular cartoon figure or a trendy graphic into a wide range of merchandise products ranging from clothing, stationeries, houseware to games. E-sports, which has much to do with the skilful application of licences and IPs of games and leagues, is a new spotlight for licensing business and will be covered by one of the thematic sessions of the Conference. Licensing business is thriving in Asia, which sees an impressive growth of almost 6% in the sales of licensed merchandise in 2017. Mainland China is a powerful engine behind. Indeed, within Asia, the Mainland and Hong Kong are the only two economies which recorded a double-digit growth rate in the year. Going forward, the Belt & Road Initiative and the Guangdong-Hong Kong-Macao Bay Area development will open the door to more unprecedented opportunities for licensing and related businesses across Asia and beyond. As an international commercial and trading hub, Hong Kong is always an ideal place for any business venture to tap the enormous opportunities ahead. We are one of the major hosts to a highly developed licensing business and one of the leading markets in the region, buttressed by a vibrant creative sector which accounts for 2.4% of our GDP in 2016. The Hong Kong Special Administrative Region Government attaches great importance and provides a wide array of support to the development of the creative industries of Hong Kong. We believe that these emerging industries will help nurture more home-grown creations to enrich our pool of IPs for licensing activities. We look forward to working closely with players of the relevant sectors with a view to consolidating Hong Kong’s status as the hub for licensing businesses in Asia. 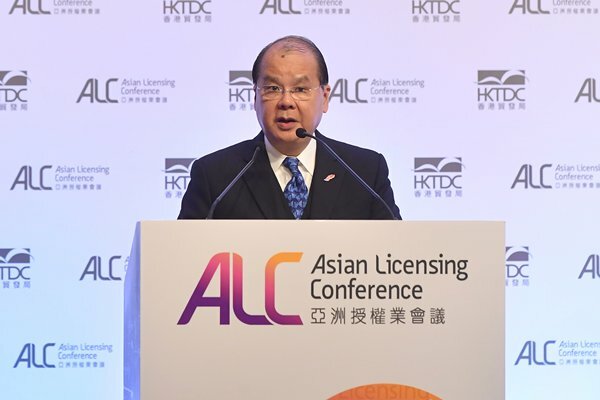 Chief Secretary Matthew Cheung gave these remarks at the Asian Licensing Conference opening session at the Convention & Exhibition Centre on January 7.